After discovering mounds of bugs in our master bedroom, our General Contractor advised us to see “The Bug Man” for some real-deal pest control stuff. Considering that we basically live in the boondocks, any drive in to the city is pretty much an all-day event. 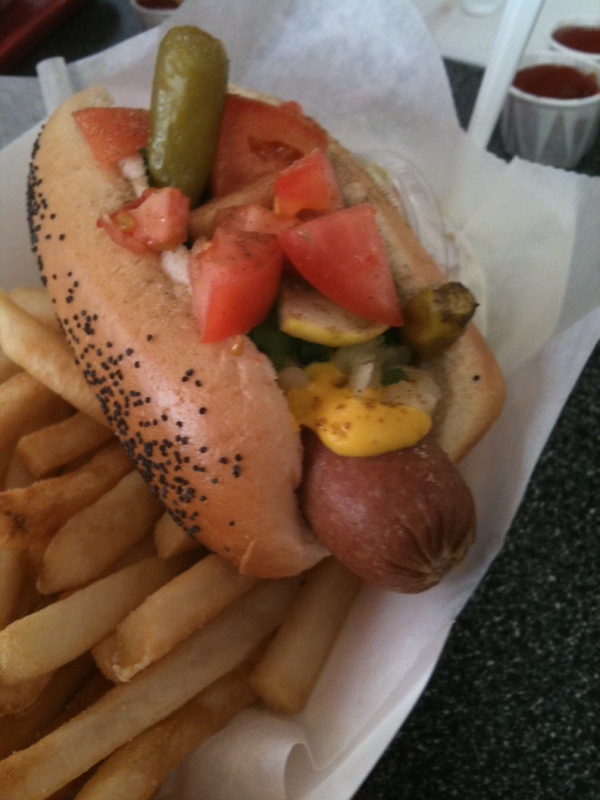 We decided to make the most of this ‘chore,’ and stopped at the world-famous Mel’s Hot Dogs. Now, sadly I just recently learned about this mecca of hot dog gloriousness, so my college days now appear juvenile and unfulfilled (since USF is about 1 block away). I’m still learning to cope. 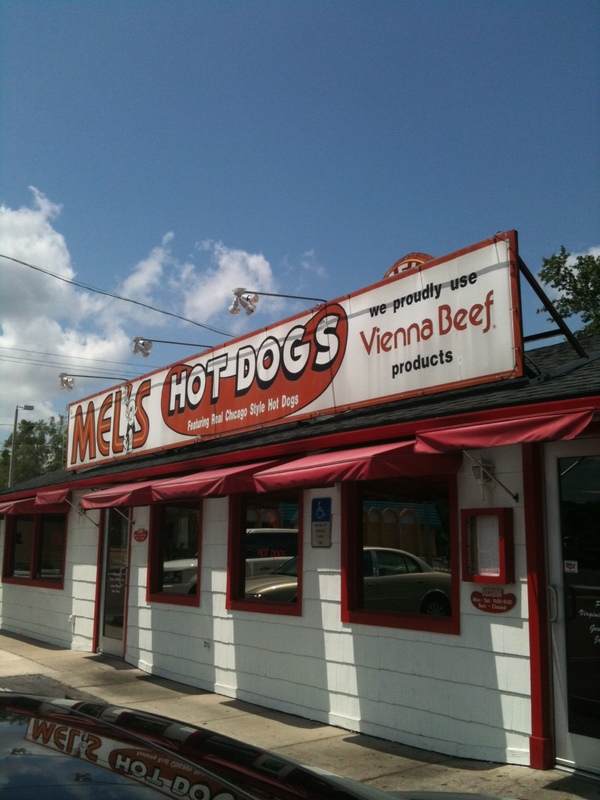 Even from the parking lot, Mel’s Hot Dogs brings you back to the good ol’ days. I wasn’t around back then, but I hear they were pretty swell. This place reminds me of my very first internship in college. I was interning at a post-production recording company in Chicago, and one day my boss took us interns to a Chicago White Sox game. 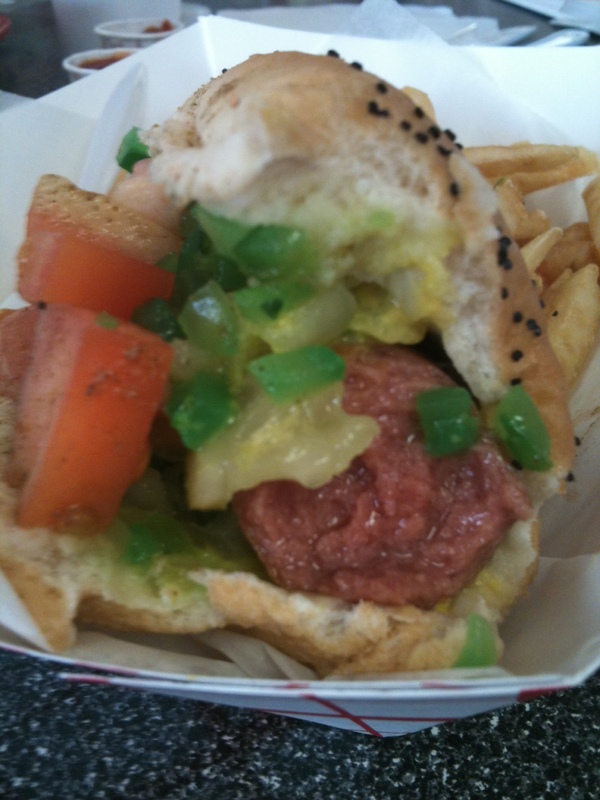 I had been living there for about 2 weeks, and still had yet to experience the world-famous Chicago-style dog. The first bite, I was hooked. I mean, celery salt? Never had I ever thought I’d like some strange concoction like this. Mel’s has a menu about 5 feet long full of hot dogs. And a chicken sandwich here and there. 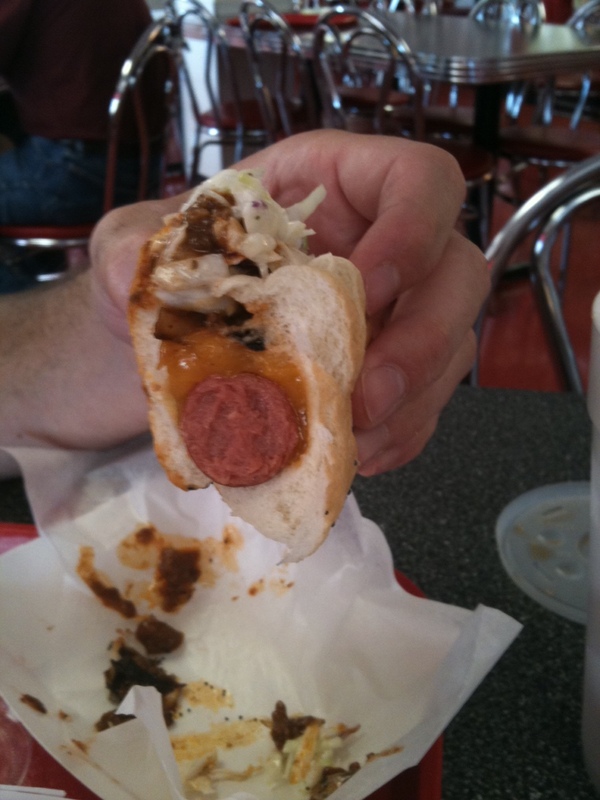 It’s a Tampa pastime favorite that will never die. It brings me back to college, Chicago, and one of the best experiences of my life. Nice post about Doggone Good «. I am very impressed with the time and effort you have put into writing this story. I will give you a link on my social media blog. All the best! Add it to the list! Mel’s is one of my fave spots — I even mentioned it in our TB about best places to eat :) Yummm! YUMMO!!! :) Looks good you’ll have to take us there when we visit!